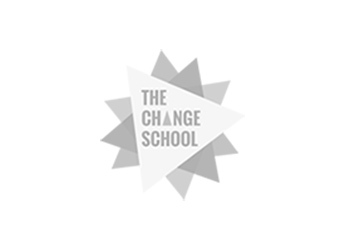 Our next Change Interview is with Nadzirah Hashim. 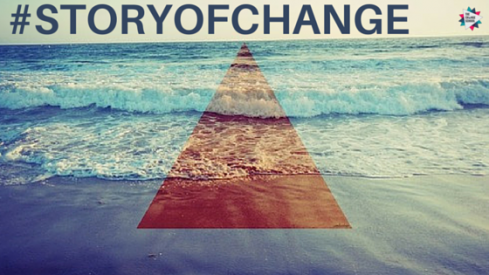 Thank you Nadzirah for sharing your #Storyofchange and it is a pleasure to have you as our #Humansofchange. 1. What major change has happened in your life? I basically decided to take a leap of faith and start my own business online selling swimwear and beachwear brands from Southeast Asia without much capital in a whole new country. 2. What happened during this period of change? Well for starters I've had to learn to establish new networks and put myself out there so people were aware that I've started this business. I've had to show them what we're all about and made sure they understood we were for real. Then coming from a communications background it was very difficult to look at numbers in accounting and finance and fully grasp it but if you want to start your own thing, you best pay attention to these little details. And on top of that, I had to learn that sometimes you just have to put your foot down and say "no" during negotiation with others. It's nothing personal, it's business. I was constantly reading various publications to be in the know with what's happening with the industry I was in and I made sure I attended networking events that are relevant to my field. In order to adapt to change I found the best way to cope was to observe what's in front of you, search and learn from other people's experiences and modify it your present situation. 4. Has the change impacted the way you approached life and work today? Completely. Knowing the fact that time is precious I needed to make sure I dedicated certain time for certain things. So I have a weekly list of goals that I always aim to accomplish and keep in check with the team so we all feel constantly motivated to grow the business. The change has also taken me to see life as a journey where we constantly need to learn - whether it's a skill or even building relationships we should live life to learn. 5. What one thing do you wish you had during this time - or what one thing was missing during this time that could have helped you? I think the only thing I should've thought about better was to have a bigger financial reserve for myself before starting my own business fully. Being only 28 and from Gen Y we seem to live for the moment and think that hey! I can start that this is easy! Well, I can tell you it isn't a walk in the park and you do need to have some security before you take that leap. Having expanded my skills in communications, I adapted to this situation by writing for corporate company profiles and for media publications. That helped me tremendously as it was flexible enough for me to operate my own business too. 6. What are you 3 main takeaways from this change period? If you can't accept change, you're going to find it hard to progress. Don't be afraid to ask for help from perfect strangers, you'll be surprised at what benefit it can bring to your life. 7. What one piece of advice would you give to someone going through a simliar point in their lives? There's nothing to be afraid of. Change is inevitable. There is no right or wrong answer. As long as what you're doing makes you happy and fills purpose to your world, who cares? 8. If your change could be represented by a colour, what would it be? It's tough to choose just one color. I would say it was a combination of green, red, purple and yellow as all the meanings for these colors resonate with what I went through. But if I had to choose one it's definitely green.